The past, the recent past and the present – I put to you three prophesies that have been and are being, realised in our lifetime. 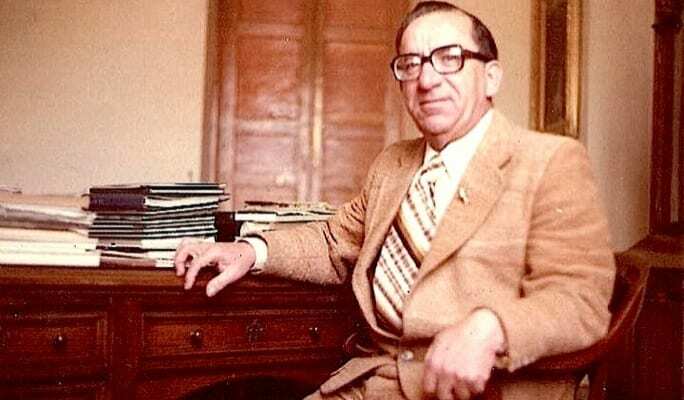 Forty years ago, Malta’s then Prime Minister Dominic Mintoff held up the Helsinki Conference when he steadfastly maintained the Conference final document must contain a clause that unless peace and stability in the Mediterranean region were achieved, there will never be any peace or stability in Europe. The world’s leaders choked in their cups but finally yielded to “humour” the “little man from Malta” and the clause was accepted. Nothing was done to try to implement it and it remained a clause of no consequence. Look at the state of the Mediterranean and Europe today. 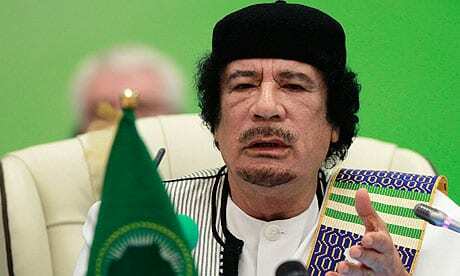 More recently, while on a visit to Italy where he milked millions of euros out of then Italian prime Minister Silvio Berlusconi as “compensation” for Italy having colonialised Libya before the Second World War, the now brutally-disposed-of Libyan Leader Colonel Mu’Ammar Gaddaffi smirked arrogantly and said he was no longer interested in or considering a military invasion of Europe because in days to come hundreds of thousands of Muslim refugees would populate Europe and change it. Look at what’s happening today. 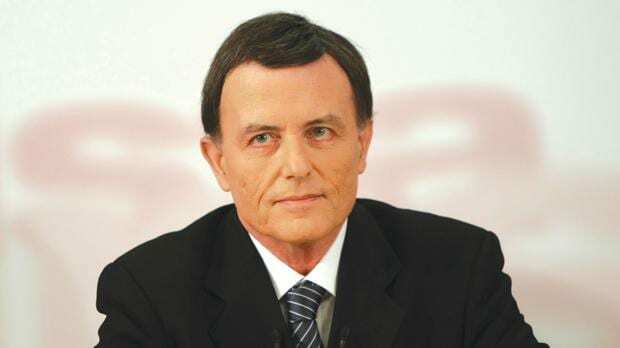 Today, former Malta Prime Minister Alfred Sant, now a member of the European Parliament (MEP), is clearly stating that unless the sources and bases of people smugglers are rooted out and destroyed, the immigrant flow across the Mediterranean will never be stemmed. Malta has been staggering under the burden of illegal immigration for years but its pleas were totally ignored and with Italy it was left to shoulder all the burden because the Mediterranean is a fair distance away from Brussels, Munich, Paris, London and Stockholm so why worry? 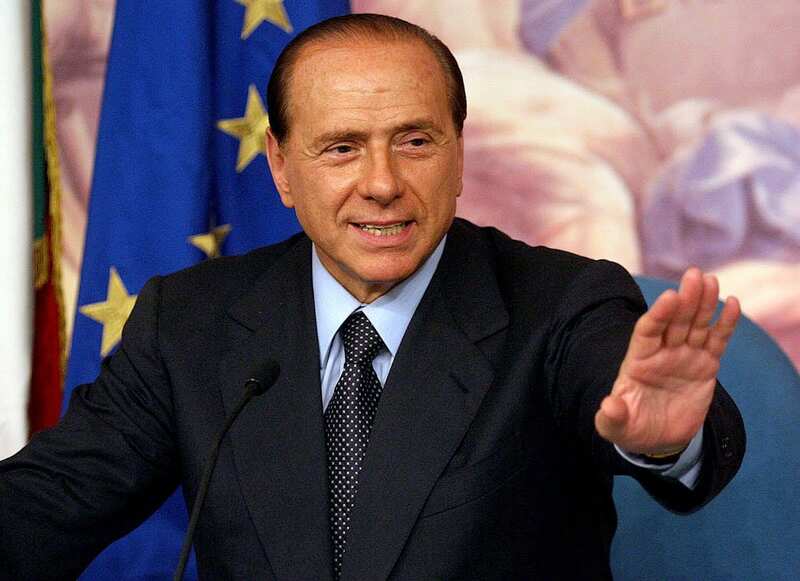 Let the Italians and Maltese deal with it – it’s “their problem”. 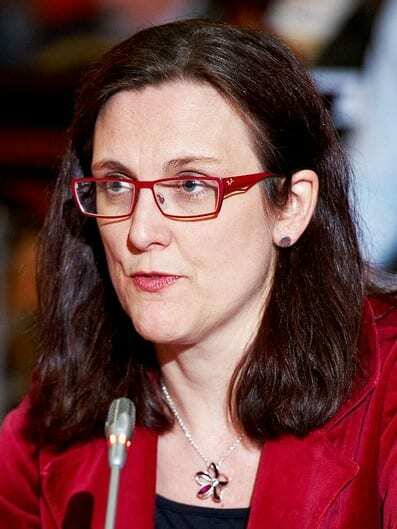 When new Prime Minister Joseph Muscat two years ago said Malta had “had enough” and would start operating a “push back” policy, Europe faked horror and outrage and the then Swedish EU Commissioner Cecilia Malmstrom, responsible for Home Affairs, looked down her nose from her high throne and patronisingly lectured Malta on “responsibility” and “being humane”, naturally without offering any visible form of hope. The reaction from Maltese social pages was extraordinary, many pointing Malmstrom towards many suggested different anatomical directions and also making wildly vivid suggestions as to what she could do with her opinions….many of them on her own Facebook page. Nevertheless, pressure from goody-goody Brussels forced Muscat to backtrack but at least generated the start of a EU debate about the “immigration problem”. 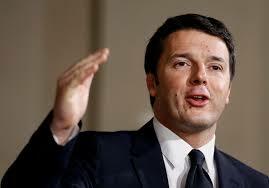 Fortunately there was a change of Government in Italy with new Prime Minister Matteo Renzi at the helm. Renzi and Muscat are old pals and Renzi acknowledged and appreciated that small Malta could not possibly absorb any more immigrants and since then Italy began to absorb the bulk of landings – dead or alive – much to Renzi’s cost. 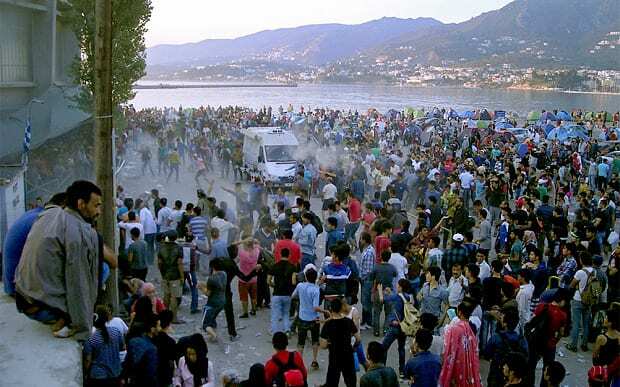 The Italian peninsula is up in arms and almost every televised national news bulletin is bursting with outraged people criticism that Italy is exploding at the seams with illegal immigrants besides many thousands of Albanians and Romanians who have “invaded” the country. The crime rate in Italy and Sicily has always been high but has now escalated beyond control with a proliferation of “foreigner” crimes. Only recently the news bulletins were replete with outrage at the slaughter of an elderly Italian couple in their home by African immigrants as well as the story of a homeless Italian pensioner living in his car and begging for food while immigrants were being allocated blocks of apartments. With absolutely nothing being done, the numbers of Mediterranean arrivals began to bulge and bulge in what had now become “Italy’s problem” and still far away from Brussels and Munich. Meanwhile, Malta continued to struggle with its own problems with many immigrants confined to camps whilst documents were being processed. 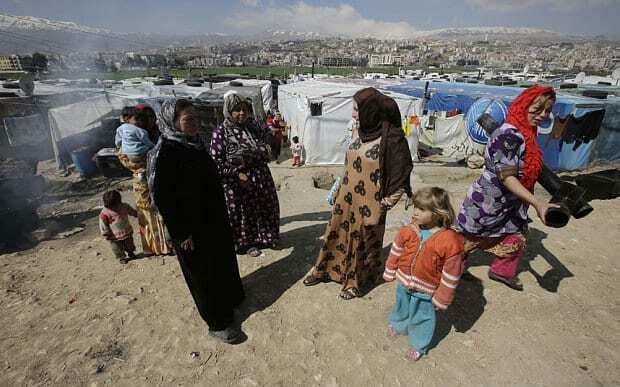 From time to time a representative from the UN refugee agency UNHCR popped over to inspect the camps, declared them “below standard” and then retired to their five star hotel for a swim in the pool and a slap-up evening meal. 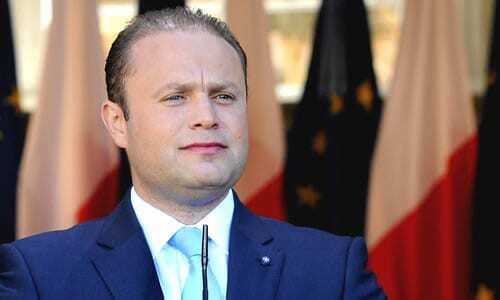 Despite Renzi’s expansive gesture Malta had already begun to bulge at the seams with immigrants and other non-Maltese arrivals but most fortuitously the national economy is humming, investment has increased and in July Malta announced the second lowest rate of unemployment of all EU countries. It has now become highly noticeable that immigrant invasions are working to a plan. With Italy bulging and its economy struggling, arrivals began to bulge Greece and its islands from Turkish departure points with Greece submerged in economic problems and arrivals hoping to make Greece a departure point for infiltration in other European localities. Europe steadfastly refused to be moved in what had now become “a Greek problem”. Now, the tactic has been stepped up, overlapping into the Balkan States and Hungary and with it, a new phenomenon. 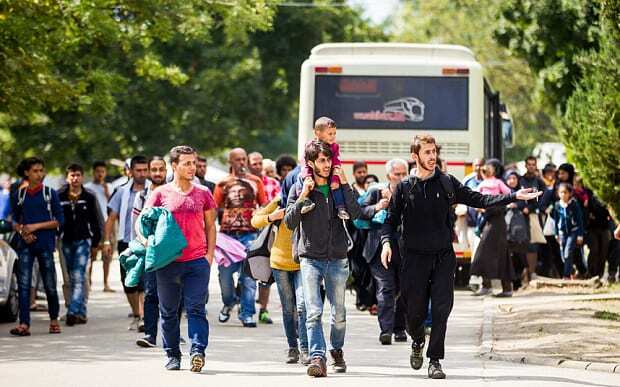 Now, immigrants can pick ‘n chose their final destination with an enormous drive of Syrian immigrants demanding to go to Germany at all costs and not wanting to settle anywhere else but Germany. 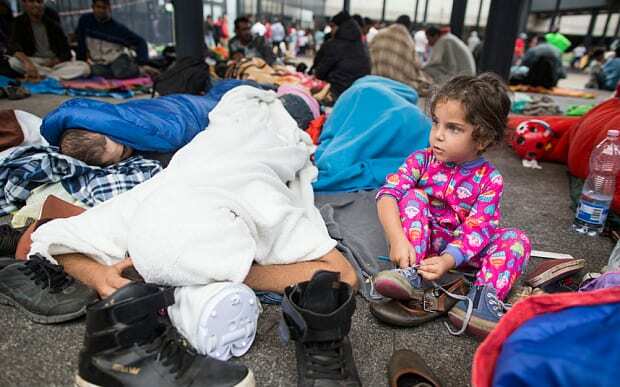 The carefully planned route is Syria – Turkey – Greece – Serbia or Macedonia – Hungary – Austria – Germany. 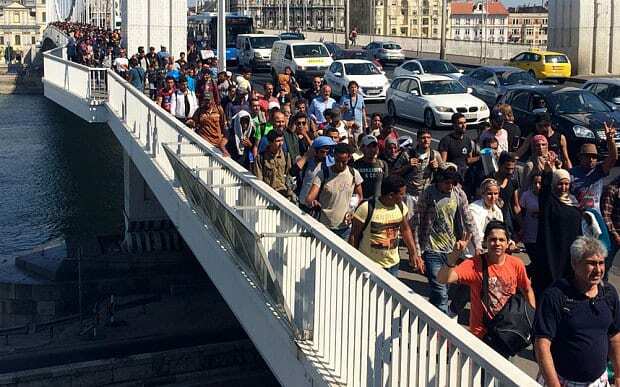 Suddenly, and at last, Europe has now woken up because in addition to this there is the never-ending saga of immigrant crossings from France via Calais into Britain and chaos in Eurotunnel and vital road transport. Lo and behold, it has now become “Europe’s problem” with Brussels, Munich, Paris etc demanding all sorts of urgent summits, strategies, meetings, discussions and studies. 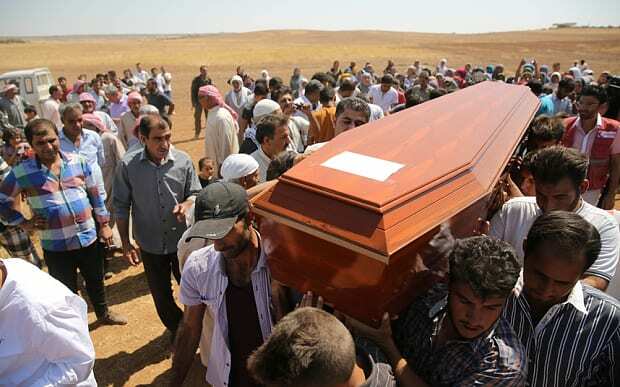 Questions are now being asked how this sudden Syrian invasion of 50,000 people, mostly able-bodied, well-fed young men and was it coincidence that at the same time ISIS announced its plan to “infiltrate” its “warriors” amongst the refugees and gain easy access into Europe? In addition, money seems to be no problem for paying for expensive sea-smuggling voyages, train tickets and the like. Britain continues to baffle in stark contrasts. British men and women who left for Syria to join ISIS and return are arrested, interrogated, detained and strictly security monitored. Yet Prime Minister David Cameron announced the UK would take 10,000 Syrian immigrants without question! However, in Malta a further and much more delicate problem is manifesting itself. Malta has been a staunchly Roman Catholic country for many centuries. Its past history is riddled with never-ending struggles against Islamic invasions and Islamic piracy and one can safely say the national psyche is deeply ingrained against any form of Islamisation to any degree. It is now calculated there are 10,000 Moslems in Malta and ever so often a great hue and outcry manifests itself. In the 1970s in a spirit of friendship between Malta and Libya, and between Mintoff and Gaddaffi, Malta agreed to the building of an Islamic Mosque in Paola. 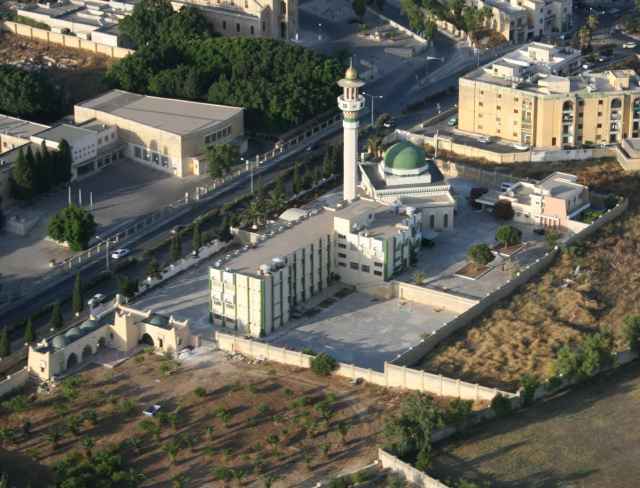 Very often too there are reports from all over Malta that Friday Islamic gatherings are taking place in private homes, activities viewed with very deep suspicion. Three weeks ago a newspaper reported that pressure is being put on the Government for a second Mosque to be built. The explosion of protests took Malta by storm and jammed social pages with exclamations of “no way”, “over my dead body”, “one is enough”, “one is more than enough” and other ferocious criticism. The pot continues to simmer uncomfortably but the social pages continue to be inundated with bitter criticism and a number of associations and societies have been formed appealing for patriotism, the preservation of the national identity, Malta First and Foremost and a number of others. It is an uncomfortable situation. « Rouen, The Classic French City where the old lives effortlessly with the new.